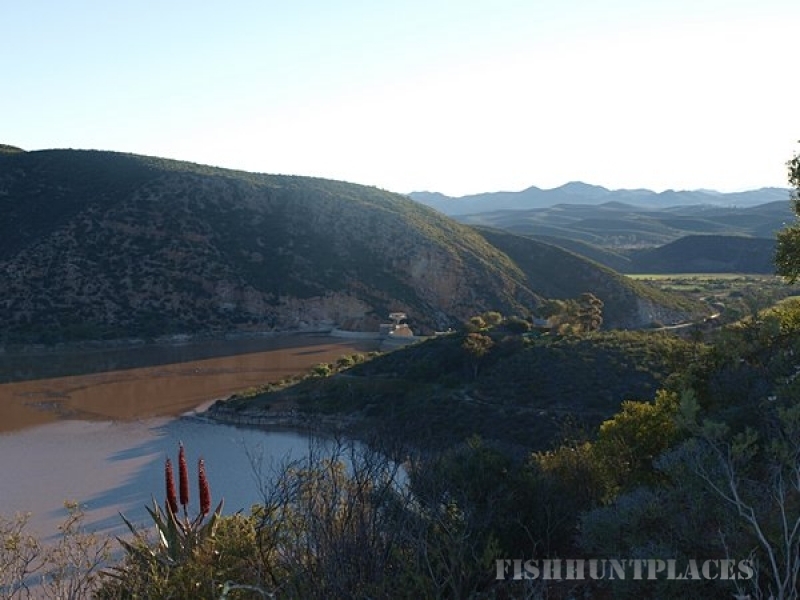 The Stompdrift Dam Water Resort provides the only public access to the Stompdrift Dam with its “coastline” of more than 25 km that cuts into the foothills of the Great Swartberg Mountain Range. 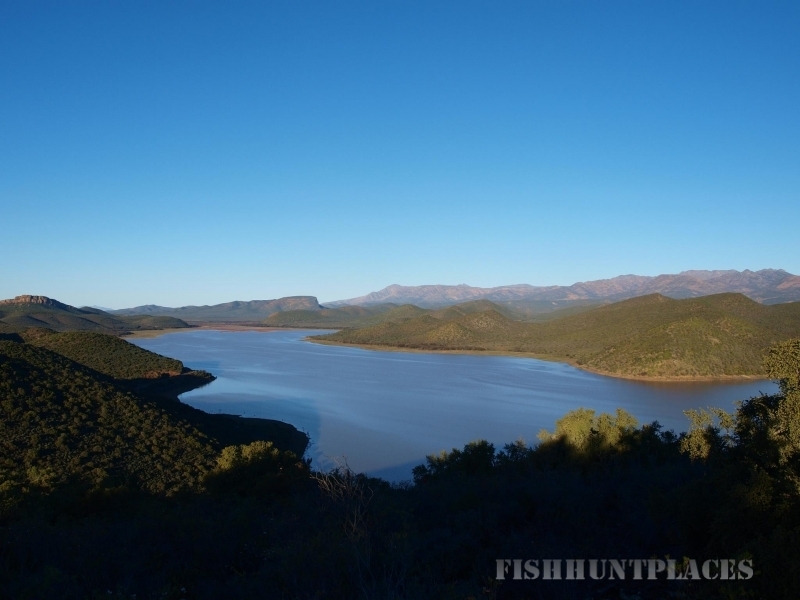 6km from the hamlet of De Rust and adjacent to Meiringspoort. Surrounded by pristine hills and unspoilt vegetation it is home to more than 2 500 plant species and 50 bird species. Our chalets are rustic and very basic and suit outdoor enthusiasts only. The accommodation will not suit any guest who wishes for the luxuries experienced at home or other upmarket b &b’s. We are situated in the bush and therefore have ants, rain spiders and other outdoor insects that may also come visit. Self Catering Safari Chalets: Our unique RUSTIC chalets are built with natural materials in true African Safari style, and are all equipped with ensuite bathroom, fully equipped kitchenette, private wooden deck under trees with lapa and braai. 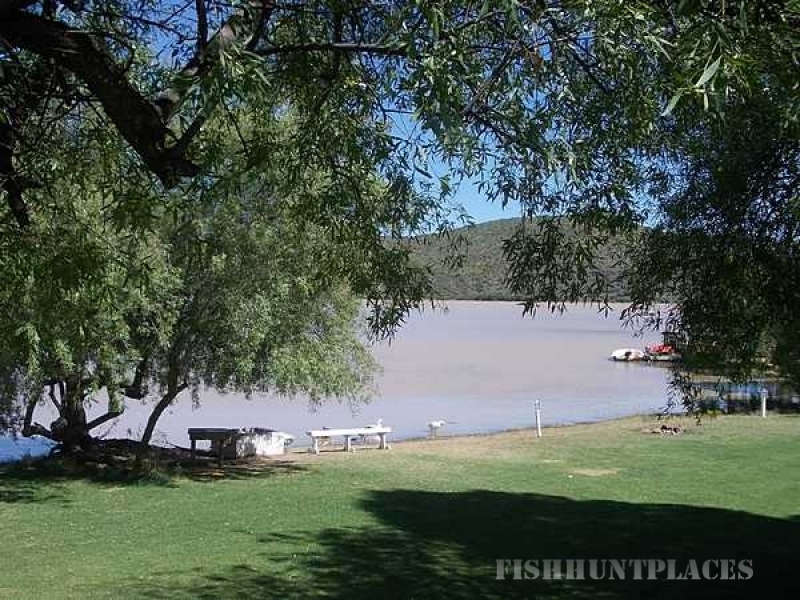 Bush Lapa: On the water’s edge with a stunning view of the dam, this pole-elevated lapa lends itself to memorable functions and gatherings. Perfect for wedding receptions, parties, public launches, team building workshops and group dinners/lunches.